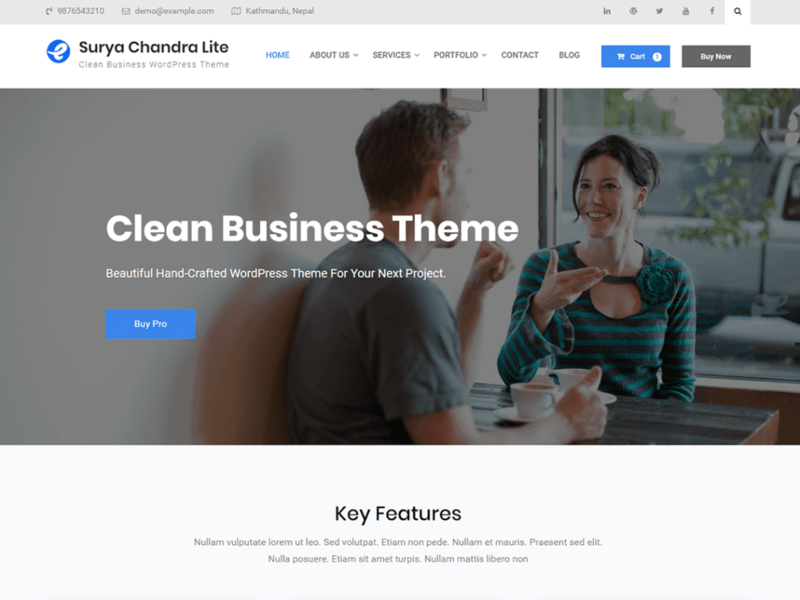 Surya Chandra Lite is a responsive multi-purpose WordPress theme. It is a flexible theme suitable for agency, blog, business, corporate or portfolios. Powered with drag and drop page builder, SiteOrigin Page Builder, it is easy and straightforward for customization. It comes with multiple widgets with which you can create custom layouts with less efforts. For quick start, sample demo content files are available in the theme enabling one click demo import. With several customization options provided in the theme allows you to setup site as per your targeted online presence.